Intentionally feeding bears or allowing them to find anything that smells or tastes like food teaches bears to approach homes and people looking for more. Bears will defend themselves if a person gets too close, so don’t risk your safety and theirs! If black bears feel nervous, they may clack their teeth together (Sounds of a black bear huffing and popping), moan, blow, huff, or stomp the ground. A bear might stand up to get a better look at whatever is bothering them. If they are highly agitated and fearful, they may bluff charge (run toward you and then stop before reaching you). These are all ways the bear is showing you it is uncomfortable with the situation and it wants you to give it some space. These are NOT indications of aggressive intent or that an attack is about to happen. If you see a bear far away, leave it alone. Enjoy bears from a distance and don’t take selfies. 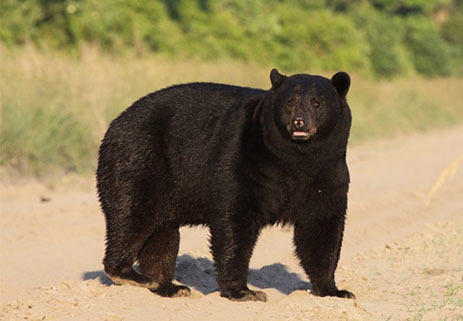 Truly predatory or aggressive black bears are extremely rare. But if you do encounter a black bear that is approaching you quietly with intention, and it attacks you, FIGHT BACK! 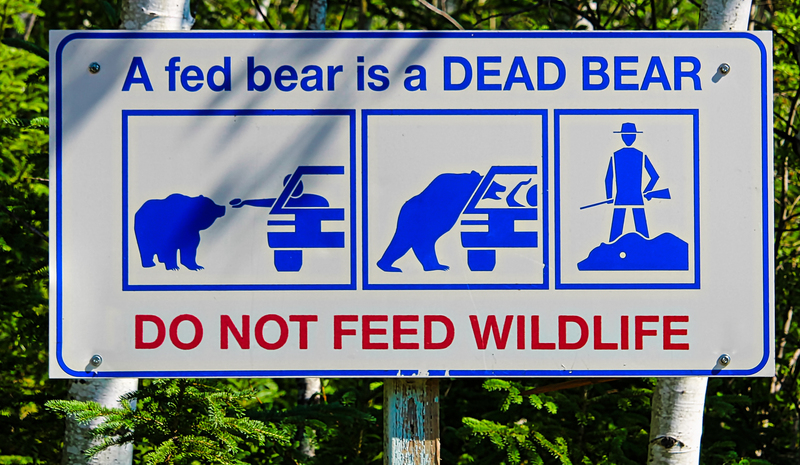 Do not feed roadside, park or neighborhood bears! You may think that feeding a bear will encourage bears to appreciate you or other humans. But bears don’t see it that way. Feeding bears includes “unintentional” feeding such as allowing bears to get into bird feeders, barbecue grills and pet food. If you see anyone feeding black bears, report the incident to authorities before the bear becomes a problem for everyone. A fed bear does learn something from getting fed. It learns to overcome its instinctive fear of humans. In essence, feeding bears “rewards” bears for approaching people in the same way a treat rewards a dog for coming on command.